Each player leads a Lovecraftian cult, taking turns using their prophet to select a tile representing a section of Carcosa from the cult board and adding it to the growing magnificent landscape of ritual sites, leylines, towers and domes. Players can then deploy cultists to control a leyline, conduct a ritual, or influence the districts they have just summoned. But Carcosa is no normal city! You must stabilize your summoned tiles with power drawn from leylines or they may be reshaped by other cults! Recruit more cultists by conducting the Forbidden Play at theatres you summon! Send your cultists to gather power and watch them be driven mad by the terrible secrets! Use your oracles to spend power on game-changing spells! Sacrifice your cultists to the horrific avatars of the King! 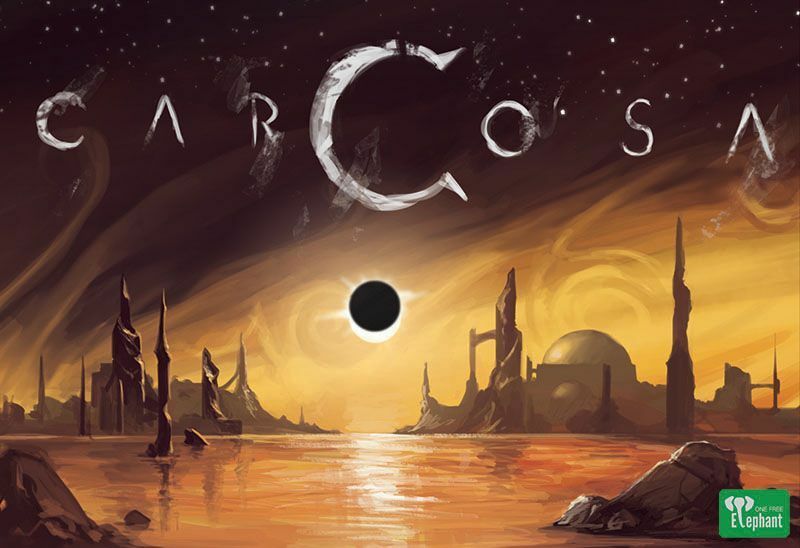 The game will end either when a cult gathers enough power to conduct the final summoning of the King in Yellow or enough tiles are placed such that Carcosa becomes a permanent feature of our Earth and the cult with the most power seizes control. Only one cult can succeed in these insane tasks — but in Lovecraft's mythos, can one truly call that winning? 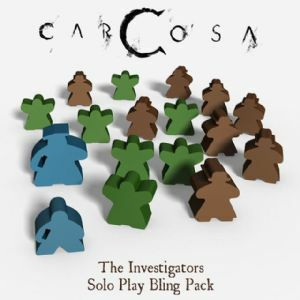 Spruce up your gameplay with some shiny meeples for the solo and co-op play for Carcosa. The bling meeples add some bling to the solo game, although strictly are not needed. The bling meeples are required for the co-operative game. Previously only available at conventions.